Clevinger's Trial is a one-act comedy by Joseph Heller. A soldier learns the value of dishonesty when he finds himself tried for telling the truth. Six characters play out this insane trial adapted from his iconic novel Catch 22. Think Alice in Wonderland meets A Few Good Men. Especially recommended for school and contest use. 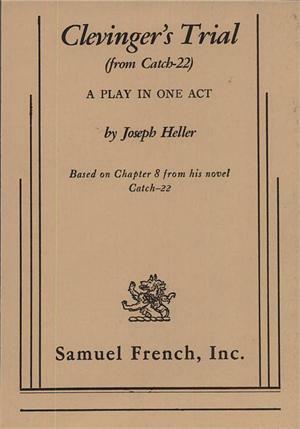 Joseph Heller based his play Clevinger's Trial on Chapter 8 of his most famous novel Catch 22. Clevinger, an idealistic air cadet is being tried for a list of charges neither he nor his three judges can make much sense of. The point is to find Clevinger guilty — of what, it doesn't matter. Lieutenant Scheisskopf, Clevinger's commanding officer, is prosecutor, defender, and one of the judges. During the trial he rises in rank, while everyone else including the stenographer, is found guilty of something by the colonel and sentenced to punishment. 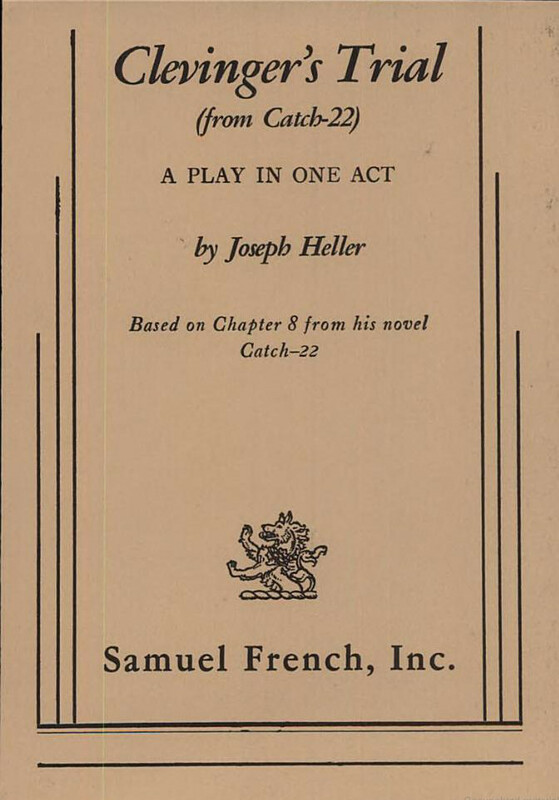 After Joseph Heller published his seminal war novel Catch-22 he adapted the book for the stage in 1971. A few years later he created Clevinger's Trial, which was first produced in London in 1974 and based on a single chapter of the novel. Joseph Heller (1923 – 1999) was an American satirical novelist, short story writer, and playwright. He is best known for his novel Catch-22, which became a bestseller and, in 1970, a film. He went on to write four other novels and the play We Bombed in New Haven. He also wrote scripts for television series and worked on film screenplays.